WASHINGTON -- A U.S. federal judge said Volkswagen AG has reached an agreement for a mix of buybacks and fixes for about 80,000 polluting 3.0-litre diesel VW, Porsche and Audi vehicles as the German automaker works to put a diesel emissions cheating scandal behind it. The total expected cost of the settlement was not immediately available. During a hearing today in San Francisco, U.S. District Judge Charles Breyer also said German company Robert Bosch has reached agreed in principle to settle civil allegations made by U.S. diesel vehicle owners. Reuters reported on Monday that the settlement was expected to be worth more than US$300 million. VW admitted in September 2015 to installing secret software in 475,000 U.S. 2.0-litre diesel cars to cheat exhaust emissions tests and make them appear cleaner in testing than they really were. In reality, the vehicles emitted up to 40 times the legally allowable pollution levels. The company in June agreed to a U.S. settlement worth about US$15 billion to address those vehicles, including an offer to buy back all 475,000. Volkswagen reached a settlement in Canada on Tuesday, agreeing to pay as much as CDN $2.1 billion to Canadian owners of its 2.0-litre diesel vehicles. The Canadian settlement does not include Volkswagen’s 3.0-litre TDI vehicles. “Litigation [in Canada] will continue for owners of the three-litre engines,” confirmed Charles M. Wright, the co-lead class council. The 80,000 3.0-litre vehicles had an undeclared auxiliary emissions system that allowed the vehicles to emit up to nine times allowable limits. The U.S. Justice Department said Volkswagen had agreed to contribute another US$225 million to a fund to offset excess diesel emissions, while the state of California said in a separate court filing that Volkswagen had agreed to boost the number of electric vehicles it sells in the state. The world's No. 2 automaker reached the new deal on vehicle fixes and buybacks with the Justice Department, U.S. Environmental Protection Agency and California state officials. Volkswagen has agreed to add by 2020 at least three additional electric vehicles, including an SUV, in California and must sell an average of 5,000 electric vehicles annually. 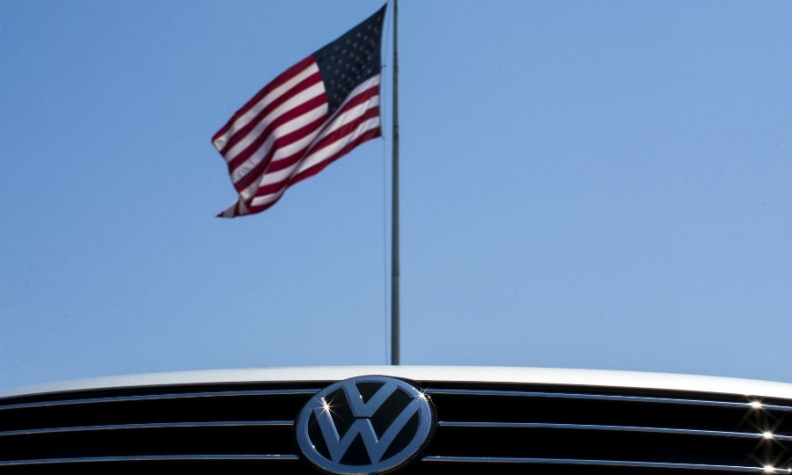 Volkswagen also agreed to pay California's state air board US$25 million, the state said. Breyer said owners of 3.0-litre vehicles would receive "substantial compensation" for getting their vehicles fixed or repaired but said there were some remaining issues to be resolved, and set a another hearing for Thursday for an update. Volkswagen spokeswoman Jeannine Ginivan said the deal "is another important step forward in our efforts to make things right for our customers."